I’d always enjoyed creative writing at school and one English teacher once told me I had great potential, but I didn’t believe him. It wasn’t until college that I felt a real desire to pursue writing. It began in 1999 and I have been writing with great enthusiasm ever since. My novels fall under sci-fi/fantasy, but mostly the latter. I grew up watching fantasy films like The Neverending Story and Willow back in the eighties, and as I advanced into my teens I continued to love the genre. My passion for fantasy was augmented when I read The Hobbit, The Lord of the Rings, Norse mythology, The Icelandic Sagas and also discovered the RPG series, Final Fantasy, which was the main catalyst for me wanting to start writing in the first place. Fezariu’s Epiphany is the first in a series of self-contained novels set in the fictitious world of Elenchera. I’m trying to steer away from a continuous series like The Wheel of Time or Harry Potter. My preference is for different stories about different characters but Elenchera will tie them all together. Fezariu’s Epiphany tells the story of a boy who suffers many upheavals in his childhood – the abandonment of his mother and the death of his stepfather – before he runs away from his past to join the Merelax Mercenaries. 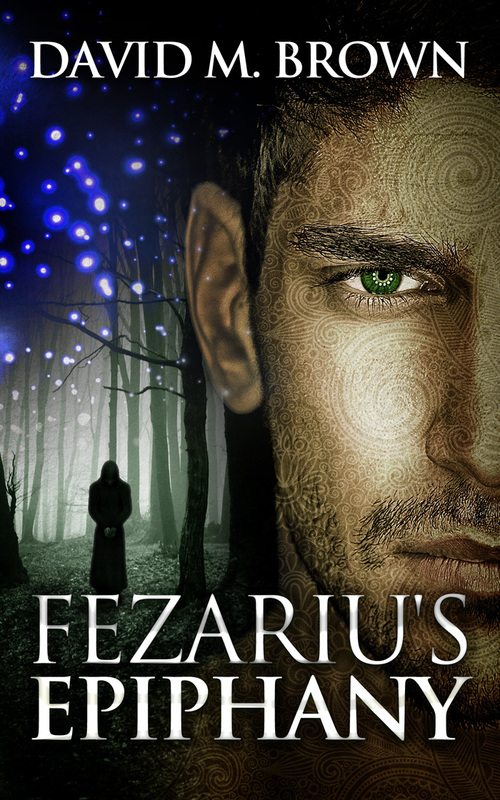 Amongst hired hands, Fezariu believes he can leave his past behind for good but although he excels as a mercenary his past will not let go and only in facing his childhood can he be free of it. My second novel, A World Apart, is due out this summer. Blog tours have been very beneficial and I really enjoy them. 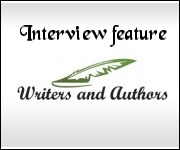 Whether it’s an interview or the chance to flex my writing muscles with a guest post, it’s always a pleasure to stop by a new blog and interact with readers as well. 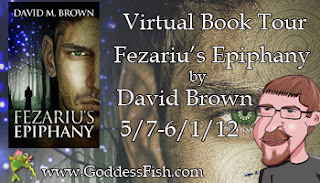 I also have a book trailer for Fezariu’s Epiphany on YouTube which has had some good feedback. Social networks, such as Twitter and Facebook, are also indispensable and indie authors can find a safe haven within the communities on there, although I consider that less promotion and more education and support. My wife runs a forum for indie authors on Facebook – the Indie Exchange – and authors, bloggers and readers have the opportunity to exchange ideas, advice and support one another. It’s a great community to be a part of. Paperback and ebook - it's available via Amazon, B&N, Indiebound, Smashwords etc. I love to read whether it’s fiction or non-fiction. I’ll read pretty much anything when it comes to fiction though I do like to keep abreast of the fantasy genre. I never stop learning from my peers. I also have a great passion for history and soon feel lost without a history book to hand. Away from books, I love films and games, all of which I review on my blog. J.R.R. Tolkien is probably my favourite; his influence on the fantasy genre is incredible. I also love Terry Pratchett, George Orwell, Ernest Hemingway, Haruki Murakami and John Irving. The best advice I can offer is to find a critic that you trust, someone who isn’t afraid to question aspects of your work. My wife, Donna, is the fiercest critic I know and she would rather tear a manuscript of mine to pieces than publish it if it isn’t right. After my tears have dried, I always find my writing improves when I listen to her. Hemingway had a plethora of memorable quotes but this one is probably the best one: “All good books are alike in that they are truer than if they had really happened and after you are finished reading one you will feel that all that happened to you and afterwards it all belongs to you; the good and the bad, the ecstasy, the remorse, and sorrow, the people and the places and how the weather was.” It’s a great feeling knowing your writing may have that impact on some readers. Having the ability to use your imagination, to give life to your characters and to your world; you feel like a God, but at the same time you’re at the mercy of your own creations, who often guide you through their stories rather than the other way round. Writing is such a great feeling. I never tire of it and I am certain that will always be the case. You can find out more me and my work at www.elenchera.com. I also have a blog The World According to Dave (http://blog.elenchera.com). If you have any questions you can also catch me on Twitter (@elenchera) or Facebook (authordavidmbrown), so feel free to get in touch. Just that it’s been wonderful being here and thank you for a great interview. To all readers, keep enjoying books and be willing to try new writers. To all writers, keep the faith in your craft and the rewards will come. David will be giving away a $25 Amazon gift card to one randomly chosen commenter at the end of the tour. So I encourage you to follow the tour and comment; the more you comment, the better your chances of winning. The tour dates can be found here: http://goddessfishpromotions.blogspot.com/2012/02/virtual-book-tour-fezarius-epiphany-by.html. I wish more writer's would find a good critic. I also love reading the works of Terry Pratchett & J.R.R.Tolkein. Before I met my wife everyone I spoke to (friends and family) all said my writing was perfect which I knew wasn't true. A critic you trust needs to be ruthless, to guide you with your writing. It's not always easy getting that sort of feedback but I do feel writing my second novel that my writing has improved significantly with all I have learned. This series is good..on to my wishlist. Thanks for the giveaway! I hope you enjoy the series. I welcome any feedback whether good or bad. Thank you Writers and Authors for the wonderful interview. Great interview Mr Brown. I also Like J.R. Tolkein also. Your book Fezariu’s Epiphany sounds so interesting.The plot sounds so different. I look forward to reading it. Best of luck! Thank you Debra. I'm glad you enjoyed the interview. I think you need a good critic for your writing, but one who gives positve feedback, not negative. I love the name Fezariu, by the way. Very creative. The story sounds really good. My wife is my critic and she offers both positive and negative feedback. I think the negative is more important to me as it's a helpful but critical analysis. I never have to agree with what my wife says but I always think if she has raised concerns about some aspects of a novel then other readers will too. I, too, like Tolkien, Orwell, Hemingway (the short stories over the novels), plus Stephen King and Orson Scott Card. A critic is important for any writer to have on their team. Feedback should always be constructive though. Unfortunately there will be negative comments along with the good ones but as long as they are given with an explanation they will help you grow as a writer. Thankfully my wife offers me constructive feedback as my main critic. The vast majority of reviews I have received have come with useful feedback. I totally agree. It's good to know WHY they didn't like it so you can grow as a writer... or ignore the negative rating knowing that they just weren't the right audience for your book. I'm curious...do you think your love of history affects your fantasy/sci-fi writing (ability to build believable worlds and so forth)? That's a good question. I do read history extensively and it has had some influence on how I have built Elenchera. I want my fantasy world to be one that many readers can embrace. Some elements would not seem out of place in our world but many other aspects could not happen here. I believe reading history helps to construct more convincing worlds. No matter how primitive or developed a civilization is there are still many of the same themes running through the history of events. Elenchera, like our world, is not a utopia. It's a difficult place to be and only the strong survive.